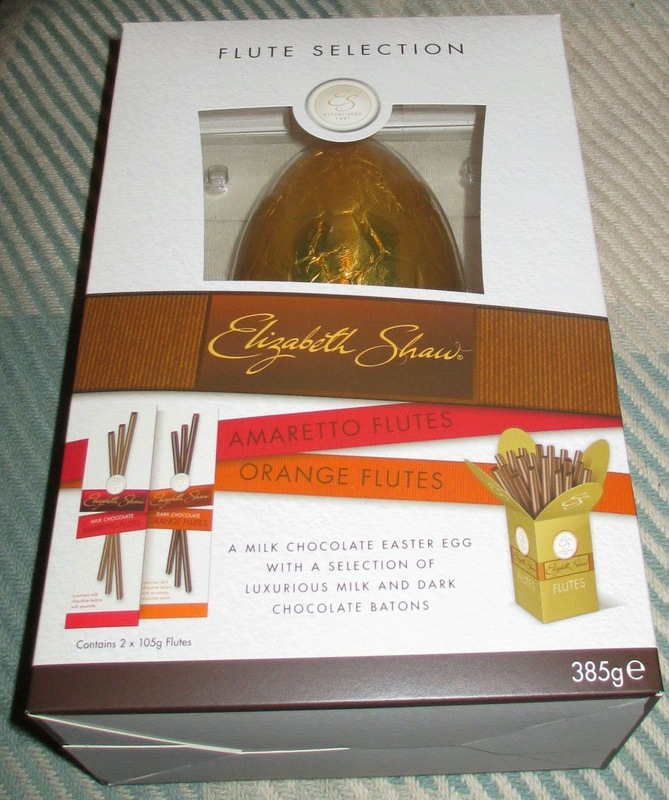 Inside the box was a very large chocolate egg and two boxes of flutes, flavoured chocolate sticks. The egg itself was really quite thick and took quite a bit of tapping to crack open. 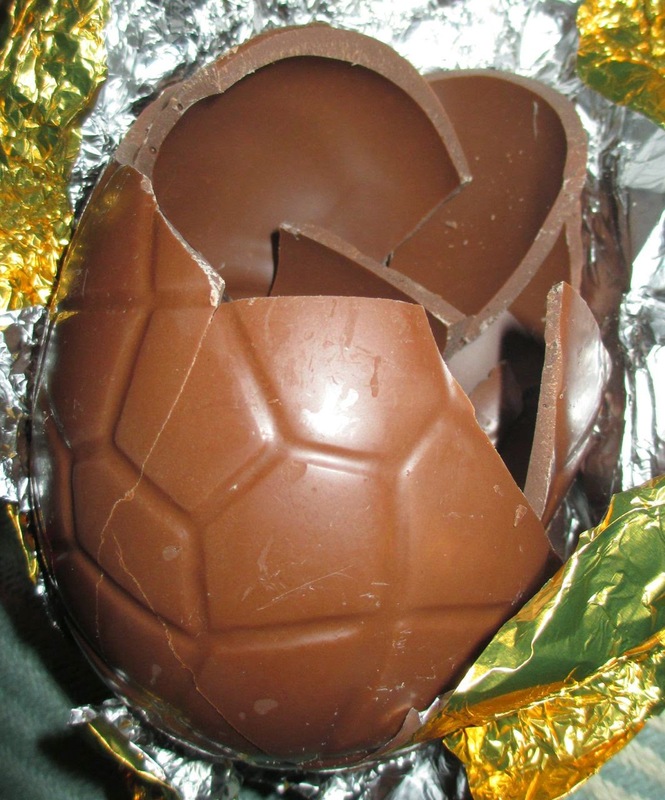 That is definitely one of the fun things about Easter, the art part of tapping (or indeed whacking) the egg hard enough to break, but ideally not loose any chocolate! We shared the egg out and all thoroughly enjoyed it. I was impressed by just how thick the shell was, it was of good generous proportions. And a small piece seemed to go a long way. The milk chocolate was sweet and smooth and nice to munch on. The flutes are lovely too if you haven’t tried them. 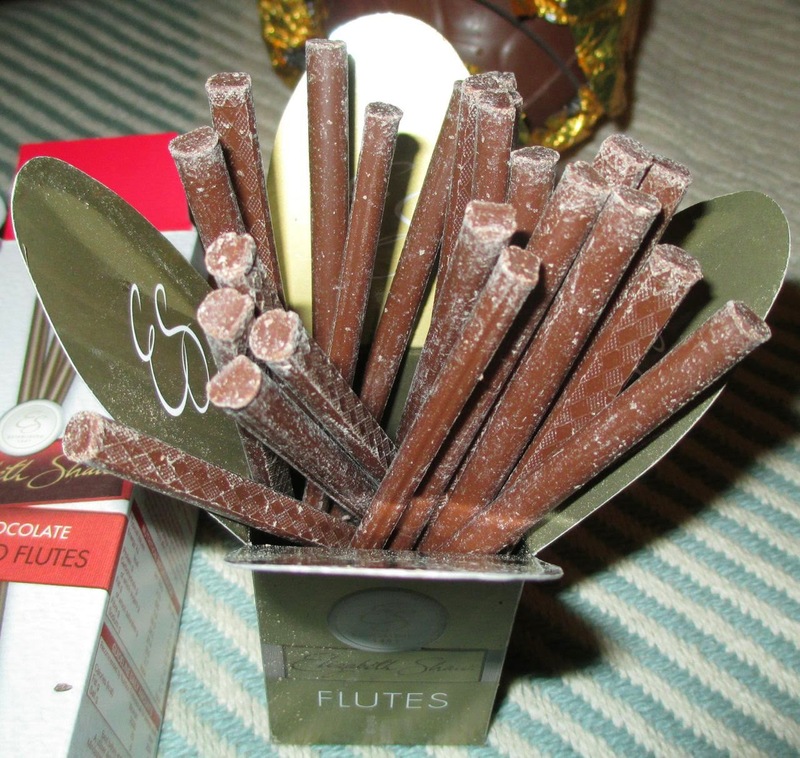 They are flavoured chocolate sticks, but inside the box is a card serving pack which when opened flutes out beautifully displaying the chocolates rather neatly. I favoured the orange ones over the Amaretto, but that is just personal preference. The Amaretto ones had a good balance of flavour, with a nutty hint of marzipan mixing with the chocolate. The orange where sweeter and I liked the fresh citrus zesty taste. 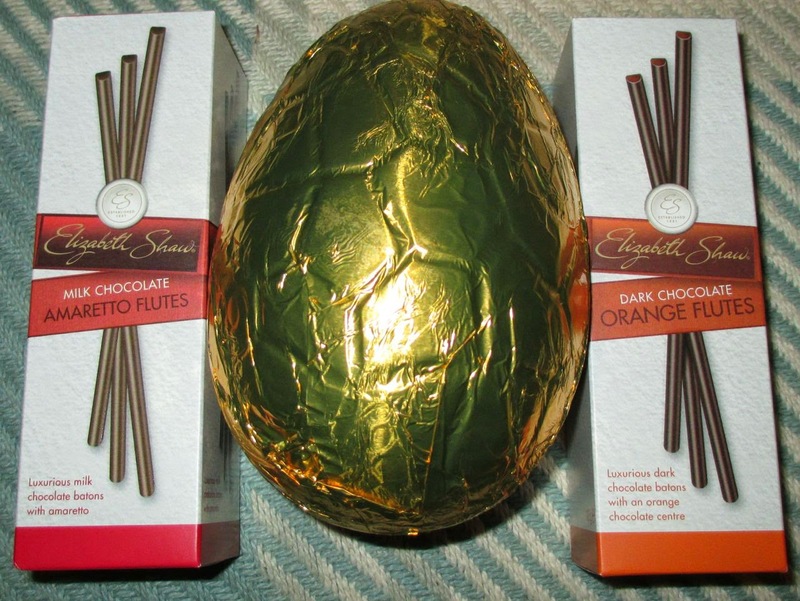 I do have a soft spot for chocolate orange. These are the kind of chocolates designed for sharing, but make you want to be selfish and keep them all to yourselves!! Have a great Easter everyone!! !